Baby, it’s cold out there!BRRRRRRRRRRRRR! 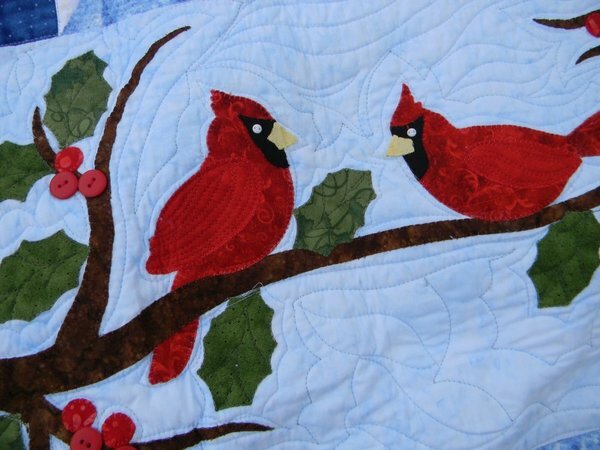 So, stay indoors where it’s warm and cozy and make this fun winter quilt set! 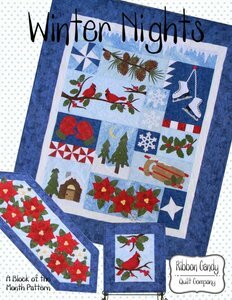 Winter Nights is 4th in the series of our Block of the Month patterns. 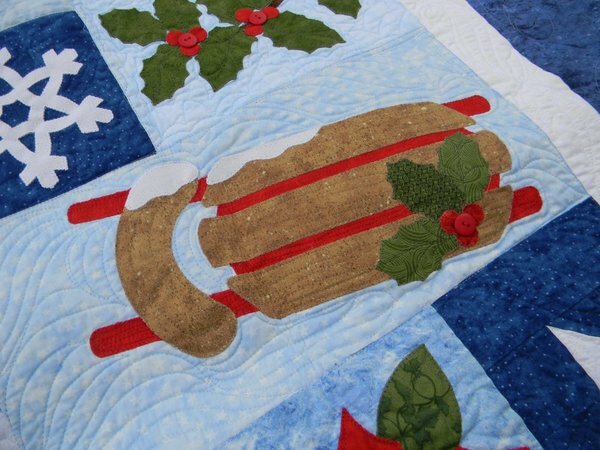 Each pattern is complete with all blocks, full size templates and detailed instructions. Wall hanging finishes 54” x 64”. Table runner is 16” x 46” and the mini quilt is 12” x 14”. Applique is done using fusible web. Grab your Sled! Its snowing out! 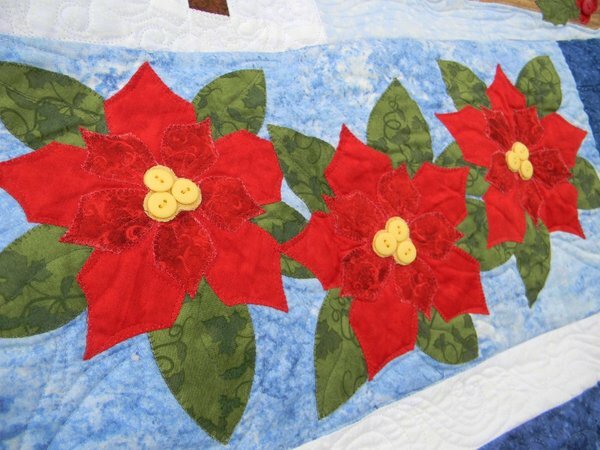 Poinsettia! The Ultimate Christmas Flower as the star-shaped leaf pattern is said to symbolize the Star of Bethlehem.